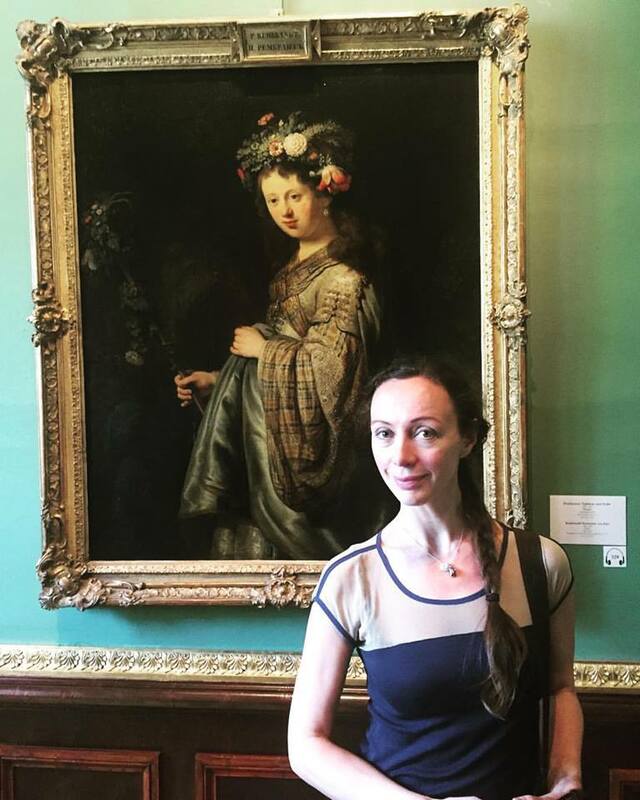 The Hermitage – my school, St. Petersburg pride, the treasure art collections! This is the magical place where I took my first steps in learning and appreciating art. Every time I visit my hometown, I have an inner calling to visit this majestic place. Let me take you on a tour! The Hermitage is one of the oldest museums in the world, founded in 1764 by Catherine the Great. Before entering this massive museum with an exclusive amount of artifacts and art collections belonging to different epochs, you will see Alexander Column on the Palace Square (where the main entrance is). This monument is made from a solid piece of stone weighing over 600 tons, to commemorate Russia’s victory in the war with Napoleon of France. 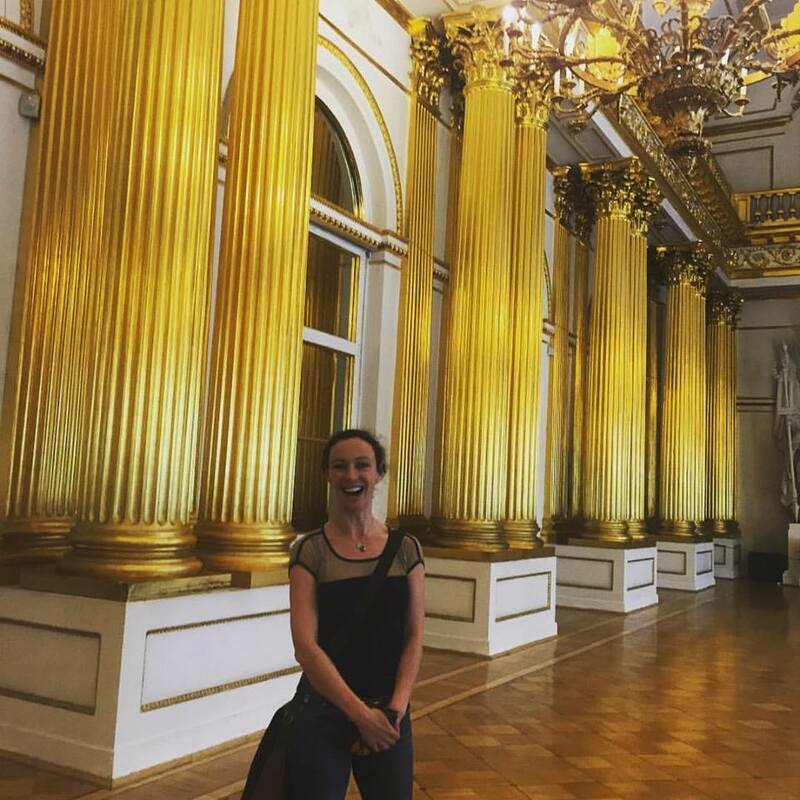 Walking down the hallways of the Hermitage, you will be fascinated by the amount of gold embellishments in the interior design. There is no shortage of gold at the Hermitage! You will also see the Throne Hall, beautifully decorated for official events. If you’ve come to meet a Russian Tsar, he will greet you here! One of my favorite Hermitage treasures is the painting of Leonardo Da Vinci – Madonna and Child. Another painting that I am fascinated by is Flora or Saskia as Flora, a 1634 painting by Rembrandt showing his wife Saskia van Uylenburgh as the goddess Flora. I remember numerous visits to study this painting during my years at Hermitage Art School, and every time I was charmed by her femininity and beauty. I feel the same way even today! I love the view from the Hermitage halls, walking from one exhibit to another. There is so much to see and so much to learn. The complex itself consists of six historic buildings and its collection is comprised of over three million items, including the largest collection of paintings in the world. Every time I visit the Hermitage is like the first time. I am fascinated, amazed and proud that Russia has this gemstone!